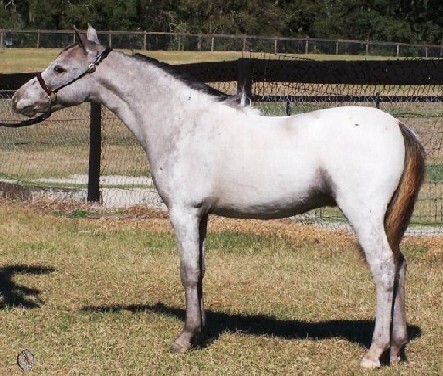 Legacy's Color Maker is an AMHA and AMHR 30½" few spot varnish appaloosa miniature colt. He was sired by Carousel Designer Legacy and his dam was Emerald Acres CH Spotted Califa. Thankyou to Tommy and Dawn Thompson of Lost Spoke Appaloosa Miniature Horse Ranch, Benson, Arizona, for sharing this photo of their lovely colt with us.